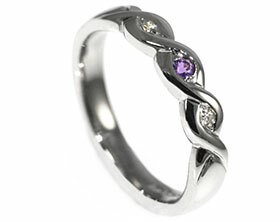 Alice loved Celtic style jewellery so Chris wanted to commission an engagement ring which incorporated traditional Celtic design. 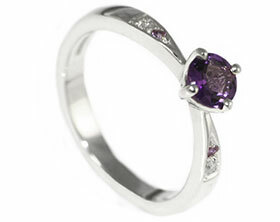 The couple had also just welcomed their baby girl into the world so Chris wanted to include the family's birthstones in the engagement ring. 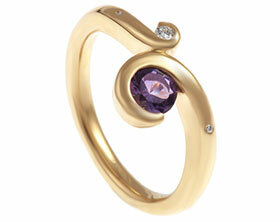 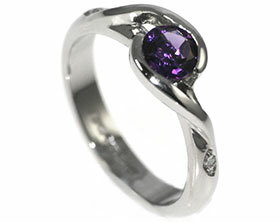 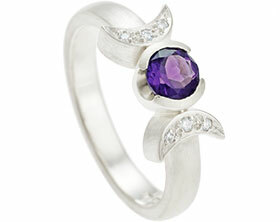 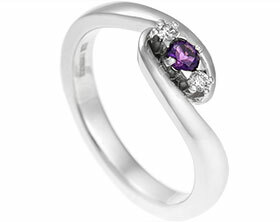 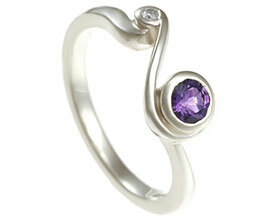 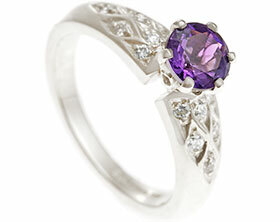 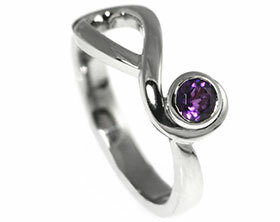 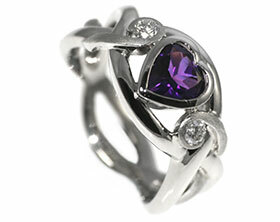 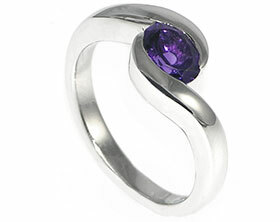 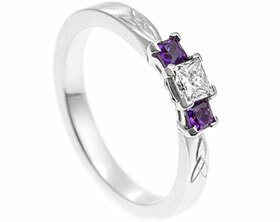 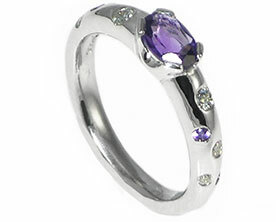 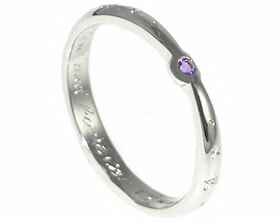 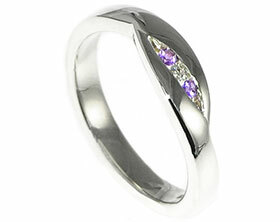 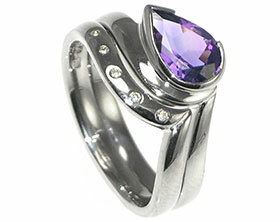 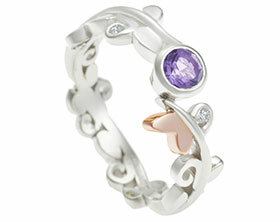 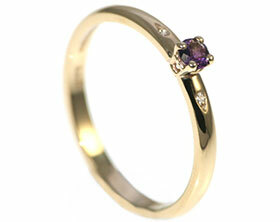 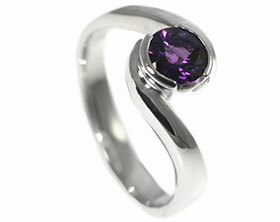 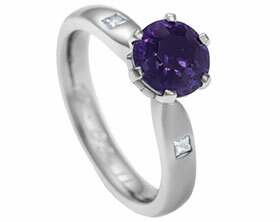 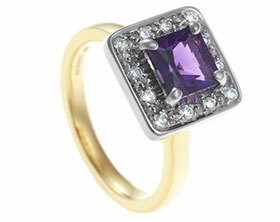 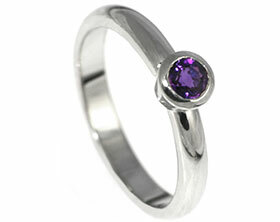 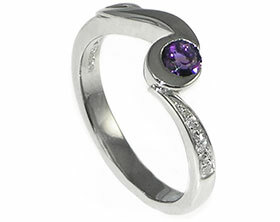 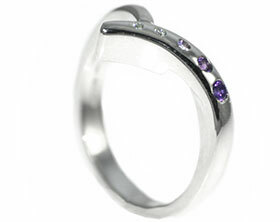 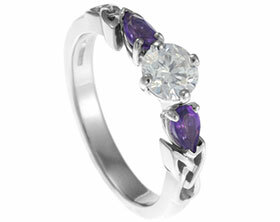 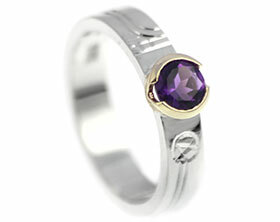 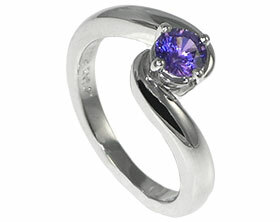 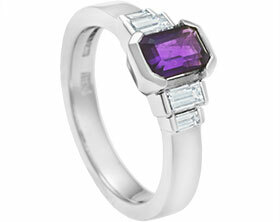 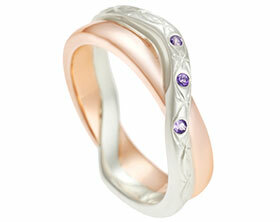 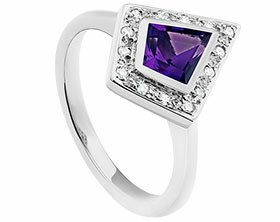 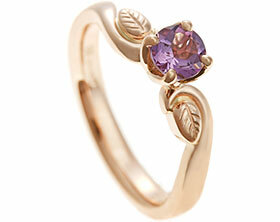 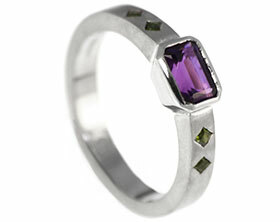 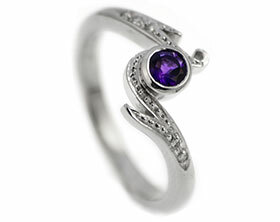 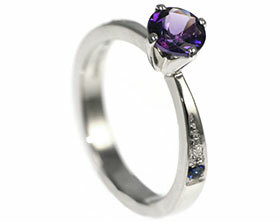 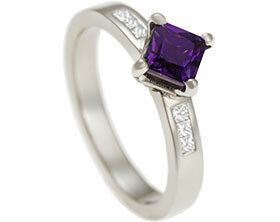 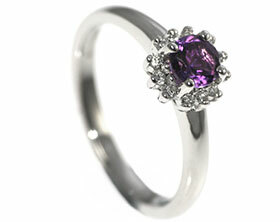 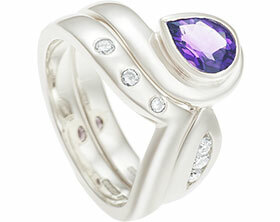 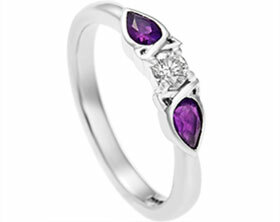 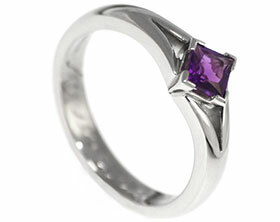 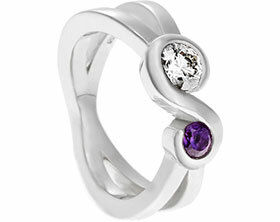 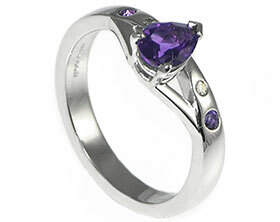 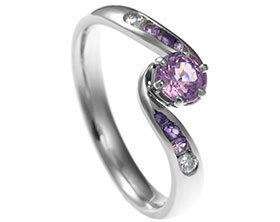 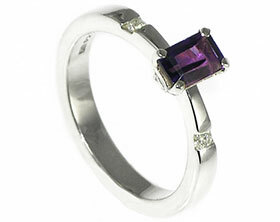 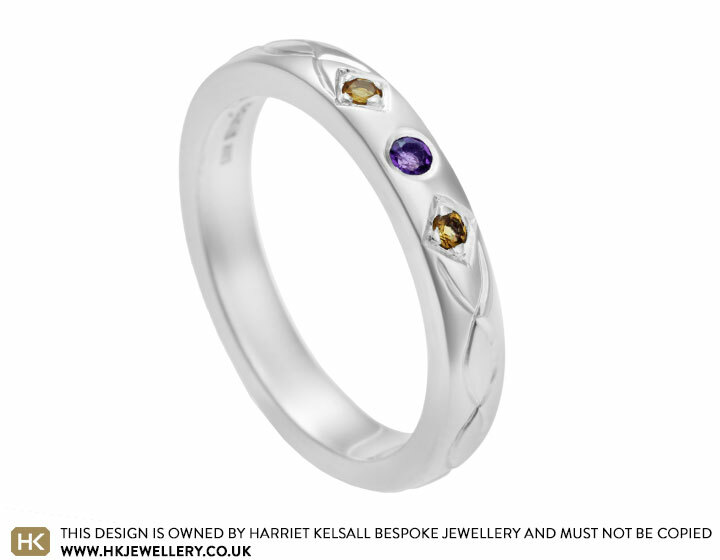 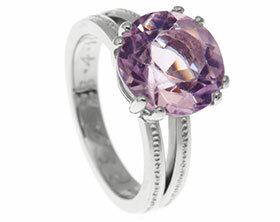 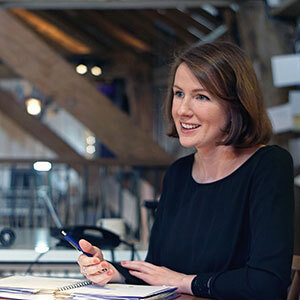 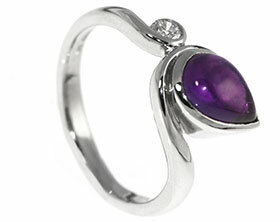 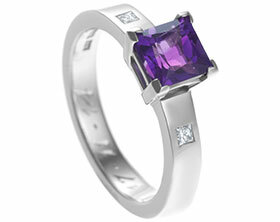 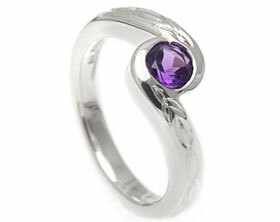 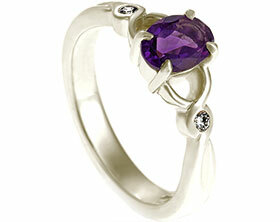 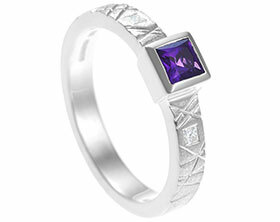 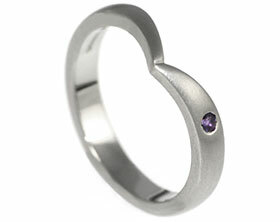 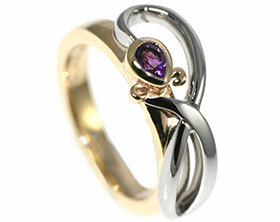 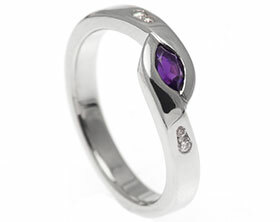 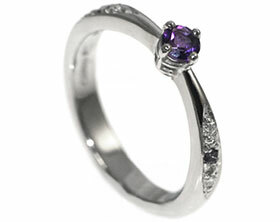 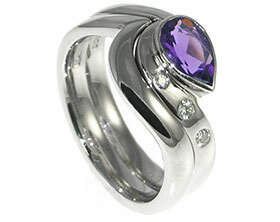 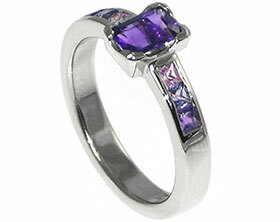 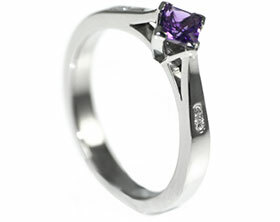 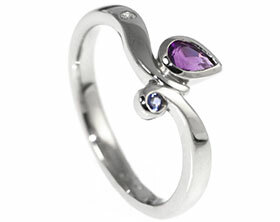 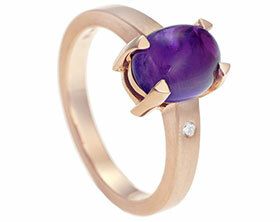 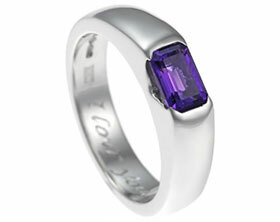 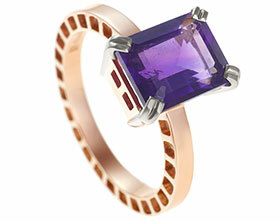 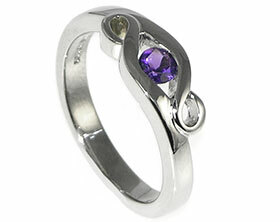 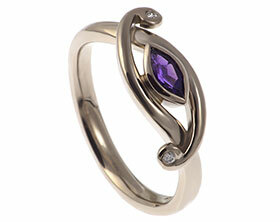 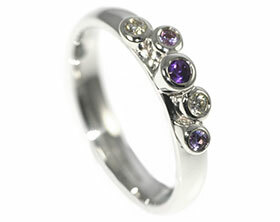 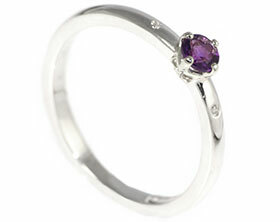 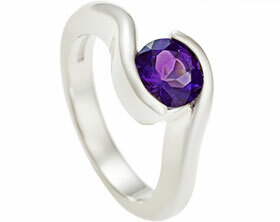 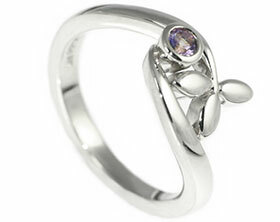 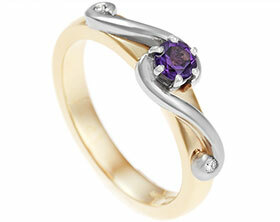 At the centre of the three stone Sterling silver ring is a brilliant cut amethyst to represent Chris and Alice's birthstones and a brilliant cut citrine either side to mark their daughter's birth. 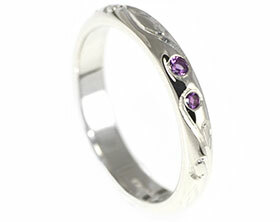 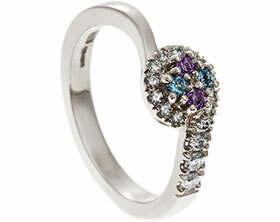 Simple Celtic engraving works perfectly alongside the colourful array of stones.